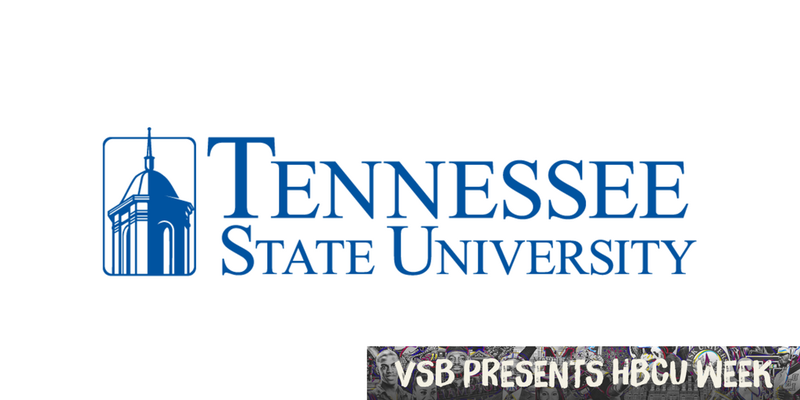 The school year begins in August with freshmen moving into Wilson and Watson halls on the gorgeous campus of Tennessee State University in Nashville. The Aristocrat of Bands is preparing for another year representing as one of the baddest bands in the land, and the sound of “TSU Funk” fills the air. Student Government Association officers are out in their Big Blue gear welcoming nervous new students and calming the anxious helicopter parents preparing to leave their babies behind. The fraternities take students on campus tours during the day and free rides to all the welcome-to-campus parties at night. It’s time for another year at TSU! Students drag themselves to early-morning classes and crowd the student center by 11 a.m. On Wednesdays, everyone dresses to impress while one of the student organizations hosts a DJ in the courtyard. The bookstore and financial aid office stay busy with all of the students that procrastinated and are just trying to figure out how in the world they can avoid getting all of their classes dropped. The football games begin quickly, and everyone piles into cars for road trips to the Classics (RIP, Atlanta Football Classic versus FAMU) as we hope to finally make it to another OVC championship. Homecoming is truly a family reunion where alumni from as far back as 1935 (shoutout to 102-year-old TSU cheerleader Burnece Walker Brunson) come to the campus that we all love. Friday is a busy day with the pep rally, fish fry, street vendors on Jefferson, day parties, step show and concert in Gentry. And after partying all night, we try to get back up early for the parade and the tailgate from dusk till dawn. By Sunday, the alumni drag themselves back home after a couple of days with their college roommates, ex-girlfriends/boyfriends and line brothers/sisters reliving their early 20s, and the students try to make up for the classes they skipped and the homework they ignored from the past week. After we survive the fall semester (and beat Fisk’s basketball team again) and catch up with some friends back home over the holidays, it’s time for the spring semester. The weather is chilly, but the social calendar will be hot! NPHC Step Show and Greek weeks are always full of surprises with old friends wearing new colors. With organizations having as many as 100 new members, we are bound to attend a probate or two on the yard as the tradition of black fraternities and sororities continues. Then the pageant season begins, and we get to crown the most elegant junior on campus as Miss TSU to represent us for the upcoming year with her gorgeous smile. In May we walk past the Olympic Plaza Statue, which stands in honor of the many Olympians who attended TSU, including the Tigerbelles, and off to the Gentry Center to see many of our lifelong friends and family members walk across the stage and receive their degree. We watch future teachers, politicians, engineers, entrepreneurs and servicemen head into their destiny. We walk in the footsteps of Oprah, so of course we are destined for greatness! A native Detroiter, Eryka M. Cheatham is incredibly passionate about hip-hop and sports and has found a way to work in both areas. She loves to work with creatives and as an event manager. Eryka is a proud graduate of Tennessee State University with a degree in mass communications (radio and TV emphasis) and a member of Sigma Gamma Rho Sorority. If you talk to her for more than 10 minutes, she will probably tell you about her handsome son and his future goals.